We offer a full suite of treatment and consultation services for diabetic patients. commonly just referred to as diabetes, is a metabolic disease characterized by high blood sugar (glucose) levels. The high blood sugar is caused by abnormal insulin secretion or action or both. 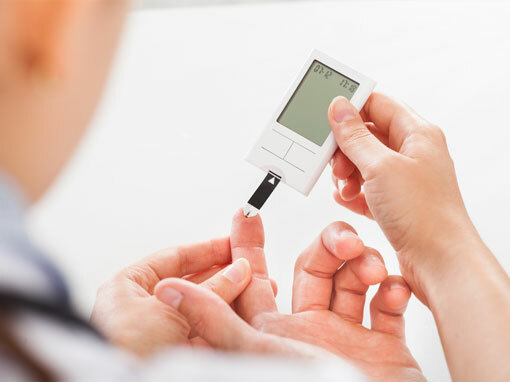 Under normal conditions, blood glucose levels are controlled by the hormone insulin which is made in the pancreas. Diabetes currently effects approximately 17 million people in the U.S., and its incidence is expected to rise. It is estimated that an additional 12 million people have diabetes and have not been diagnosed. In New Jersey alone, nearly 1 in 10 residents have diabetes. There are two forms of diabetes: Type I or juvenile diabetes and Type II. Type I diabetes is caused by your body’s inability to make sufficient insulin due to some kind of destruction or dysfunction in the insulin producing beta cells of the pancreas. Type II diabetes is due to the body’s inability to use insulin properly and efficiently, causing elevated blood sugar. Along with this, the body’s ability to produce insulin also declines. Type II diabetes is largely lifestyle related. Uncontrolled diabetes leads to a variety of other chronic illnesses such as blindness, kidney failure, micro-vascular disease and atherosclerosis, stroke, cardiovascular disease and other debilitating conditions. Our diabetes care professionals are ready to help you manage your diabetes and improve your quality of life. Our comprehensive program includes medical management by a board certified endocrinologist who specializes in diabetes care, a registered dietitian to help you eat properly and assist in controlling your blood sugar through proper nutrition and a fitness program, designed by a physician and customized to promote better glucose utilization and help in decreasing your glucose levels. Also included is ongoing counseling by our diabetes care team to help you with any other questions or concerns you may have about your diabetes. 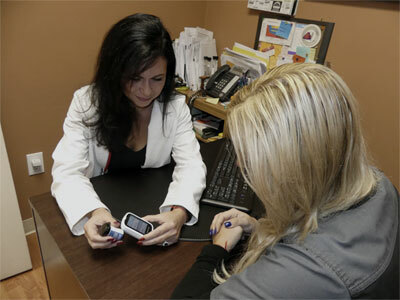 We provide comprehensive diabetes care for patients throughout Monmouth and Middlesex Counties and all of Central NJ. Book your appointment as a new patient today by calling our centralized scheduling department: 732-705-4232. Our New York patients can contact our Brooklyn (Bensonhurst) location by calling 718-891-8790.